Hayya Lovely's. 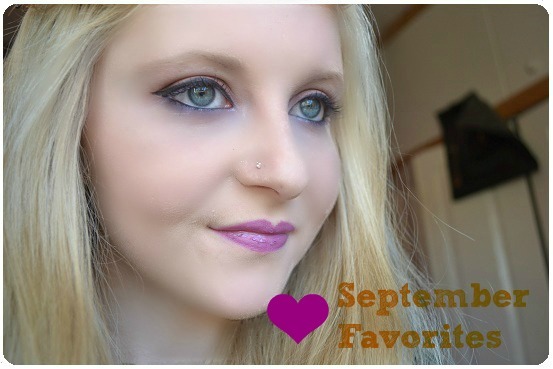 Today I thought I would do a September Favourites. I can't believe tomorrow is October, this year is going so fast - it feels like just yesterday I started my blog but I have been doing this for 6 months now. Anyway I'm just excited as it's almost Christmas, well not really, it's like 2 months or something away. What do you all want for Christmas? Lets get on with my favourites! - MAC Studio Fix Fluid NC15: This foundation is the bomb, it gives wonderful coverage and feels nice on the skin. It's also not too expensive which is great. I will be swapping back to my NARS Sheer Matte foundation for the winter but just because this foundation is a little dark for me around that time. You can find this foundation in MAC counters free standing stores or online. 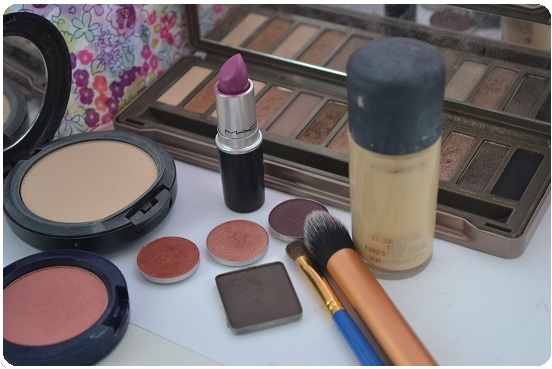 - MAC eyeshadows in Expensive Pink, Coppering and Sketch: These colours are perfect for the autumn season. I have been wearing them together most days. All three are available in any MAC counter/free standing store or online. 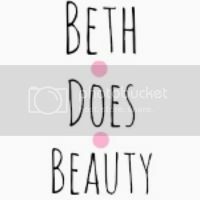 - MAC 213 brush: I want the proper one of this brush - this is one that I got in the Wonder Woman brush set when I first started getting MAC, and the brush bit has come off the handle so I really want to get the normal one as it is amazing for applying your crease colour. Can be found in any MAC counter/free standing store or online. That's all my favourites for this month. Please let me know if you enjoy these posts. Love these types of posts! It's a big shopping spree for my eyes :) Real Techniques is popping up in everyone's favorites and I'm so jealous because I want it! Great favorites! Copper and Sketch look like they would look gorgeous together! mac is my favorite brand and is one of the only brands i can use. I love Tease! Such a great color! Gorgeous makeup. Such a great post, I've been thinking about buying Mac Studio Fix Fluid, but heard mixed reviews. Love that lip colour, they were sold out when I went to buy it. that lipstick is so nice. I am dying for the NAKED 2 palette! it looks so so good!